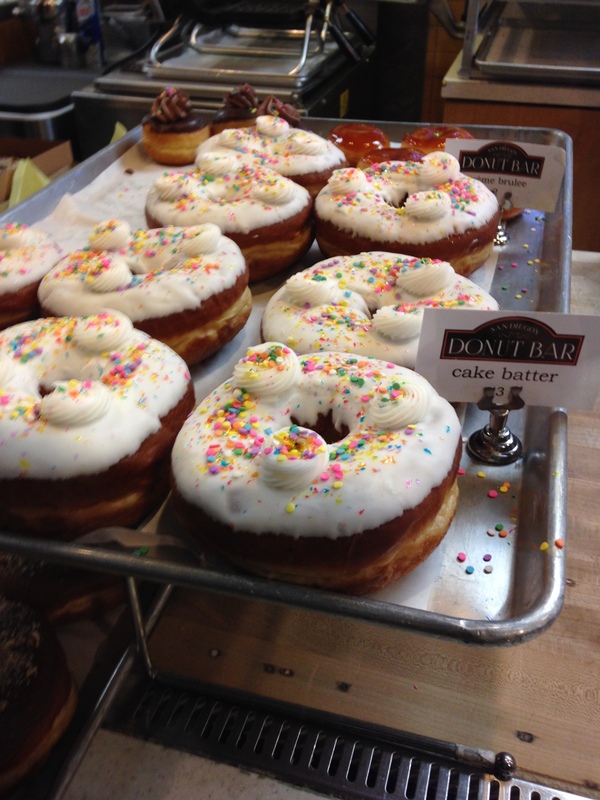 Felt like some fun carbs today after breakfast, so we walked a few blocks to the Donut Bar for a treat. I picked up a Butterfinger cake donut (yes, it has crumbled candy bar sprinkles in the frosting), and (half of) an old fashioned. The best thing about a high-carb diet is this kind of treat is never out of the question. They’re just calories. It’s not like I’m trying to stay in a state of ketosis or anything. I’m not saying you should eat tons of this stuff, but you can still lose weight having the occasional treat. BTW, you appreciate this stuff a lot more when you rarely taste it.